This post was originally published back in 2010 and we’ve now long since discontinued this machine. 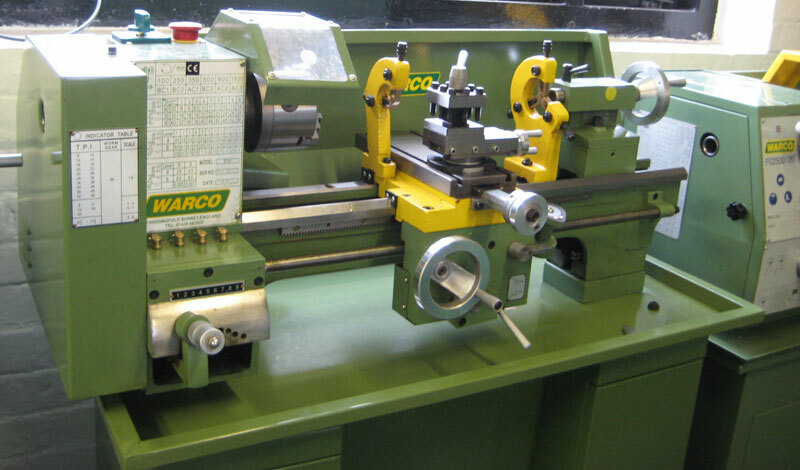 The new belt drive metalworking lathe that superseded the 918 is the Warco WM240B. This machine offers upgrades throughout, such as increased capacity, induction hardened and ground bedways, much more powerful motor and now proven long term reliability just like its predecessor. While still having the traditional belt drive system from the 918, the drive mechanism of the 240B will be just as familiar to so many of our customers from cutting their teeth using vintage lathes like Myford Sevens. Alternatively, if you’re ready to take a step away from the more traditional belt drive lathes, the rest of the WM series is well worth a look . These variable speed machines offer the increased convenience of electronic speed control – from the WM 180 through to WM 290, there’s a lathe to cover just about all sizes and budgets. Continuing with our current feature showcasing some of our most popular lathes, we’re going to share a little more information about the 918 Lathe. Originally introduced by Warco all the way back in 1985, this is one of our longest running products. In all that time, it’s never changed in any significant way – the 918 was designed and built right in the first place. As far as metal turning lathes are concerned, the 918 ranks highly – in fact we still get feedback from a few customers who originally purchased a machine back in the 1980s to let us know that the same machine is still going strong now! A simple but reliable belt change lathe, long term stability and durability is ensured by taper roller spindle bearings. Also, a Norton gearbox is fitted – which reduces the number of change gears. Machines are supplied with an individual accuracy test report and warranty, and as standard a selection of essential accessories including chucks, faceplate, toolpost, tool box, travelling steady and tool box – everything you need to get going. Have a warco 918 for 24 years.still perfect. Can you tell me the spindle thread.thank you Roy.